Let’s see if you can guess what today is: Jonathan is having heart palpitations, Zach is worried the site is going to come crashing down, Brad is hoping someone will buy him an iPhone 6s for his birthday (which is coming up soon, if anyone wants to surprise him), Jacob is clearing space in is entertainment center for a next-gen Apple TV, Yoni already knows everything that’ll be announced because he has great sources at Apple, and Chris is already prepping his 417th post of the day. That’s right, it’s time for Apple’s huge”Hey Siri” event. 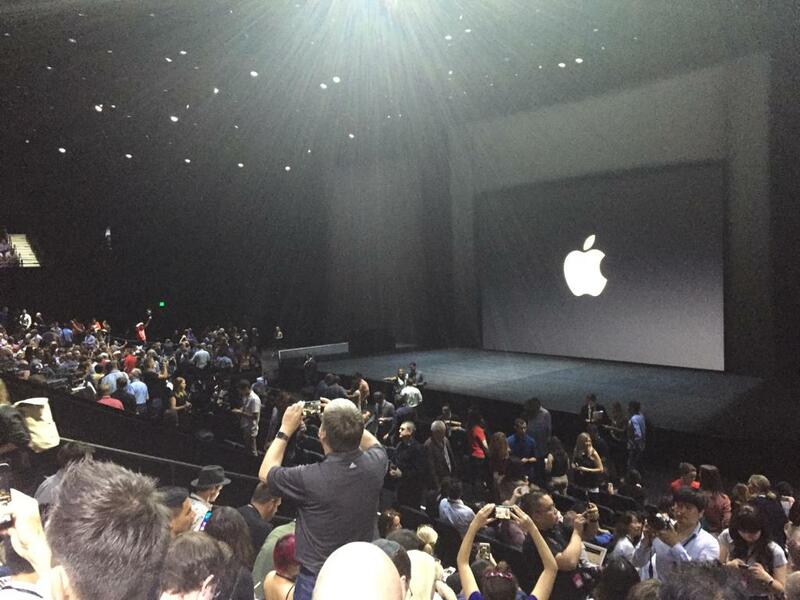 Apple’s September event is shaping up to be the company’s biggest event in years. We’re expecting a pair of new iPhone 6s handsets, a completely reimagined Apple TV with third-party app and games support, a first-generation iPad Pro, a new iPad mini 4, iOS 9 details, El Capitan details, Watch OS2 details and more. BGR’s news coverage will be coming hot and heavy once the event starts, and you can see it all in our Apple event hub. This year, however, we’re also doing things a little differently: The entire BGR team will come together for the entire event to provide live coverage right here in this post. 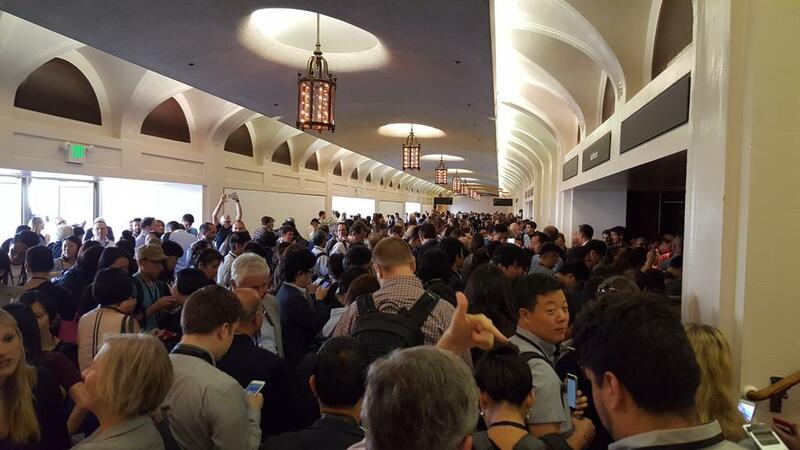 Scroll down for our running coverage of today’s big Apple event, which will update automatically so there’s no need to refresh the page. The event is set to begin at 1:00 p.m. EDT / 10:00 a.m. PDT. UPDATE: Want to watch live streaming video of the event alongside our live coverage here? This post will tell you how to watch on any iOS, Mac, Windows or Android device! Thanks for joining us for the live event, everyone! 64GB iPhone 6 Rose Gold for me. Can’t wait to 3D Touch it. Crazy Android trolling right there. So Apple just found out about gifs and decided to rebrand them. Free iCloud storage accounts can now hold up to 15 iPhone 6s pictures. “Take pictures of your favorite birds and 3D Touch their soft plumage. How to pick your favorite bird? The phone can’t pick for you." Alright, 3D Touch with gaming suddenly has me very intrigued. A9 puts the A8 to shame..
Samsung just announced 4D touch. Wait, your phone only works in *2* dimensions? Loser. And incidentally, “3D Touch” is much better than “Force Touch,” which sounded like something you were taught to watch out for when approached by strangers as a kid. OK, Apple, this phone looks amazing but did you ever WELD WITH WAVES like Samsung did? I think I prefer 3D Touch anyway. Most advanced smartphone in the world, the new iPhone 6s. Gene Munster breaks out into a sweat, realizing the iTV hasn’t been announced yet. This is actually very competitive. Cheaper and more family friendly than the Xbox One and PS4. A8 is kind of odd. Why not put an A9X in there and really give game developers some horse power. $149 & $199 coming in October. Elephant in the corner: is Apple changing the commercial model for pay TV in any way? Nintendo isn’t looking so hot, though. This is tailor made for family-friendly gaming. I see you, fourth-gen Apple TV. You’re definitely on my must-buy list. And now some talk about games .. Forget Apple TV and iPhone, I want this Siri on my Mac right now. Just because I tend to fall asleep watching TV. “Skip ahead 7 minutes” will be my favorite command. Sure, this is a demo, but Siri is able to immediatelly respond to your commands as you’re saying them. Wow, Siri is so fast. Overkill? Apple shot stunning slow-mo video to act as your screensavers. Universal search is effing rad. So many times I’ve had to open and close different TV apps to find what I’m looking for. Just tell Siri what you want to see, and it’ll look for it across apps. Universal search – Siri does that for you. This is a great play here. Casual gamers will love having mobile games in their living rooms, remote control with Siri integration will make it easier to navigate. And controling Apple TV via Siri is so cool. There’s that new remote people were talking about. This is a pretty interesting notion considering how awful smart TV apps are right now. Can Apple fix that? The apps we want are coming to TV. That’s what Tim Cook is building up to. But no time to get excited about the iPad mini 4 you wanted last year. There’s a new Apple TV in the house! As expected, there’s a new iPad mini 4 that’s basically a smaller iPad Air 2. I could see myself working on an iPad Pro. $169 for the Smart Keyboard. $99 for the Apple Pencil. iPad Pro is a monster and is going to further replace computers. Oh wait, patients will also have to buy iPads, so that they can receive all these amazing explanations on their devices. Pft, who needs to use a large iPad Pro to look at xrays when all the cool doctors are rocking the BlackBerry Passport? WORK WIDE, LOSERS. A meniscus never looked so good, by the way. There are other tablet competitors? And iPhone 6s isn’t even out yet. So, doctors, you’ll have to buy Apple Watch, iPad Pro, and Apple Pencil this fall. Again, huge focus on medicine. So weird Zach if only someone told you that before. Multitasking on the iPad Pro looks fantastic — it really will bridge the gap between iOS tablets and Macs very well. Adobe’s apps are shipping in October — that’s probably when the new iPad Pro arrives. You know, if you’re into photoshopping things. Adobe Fix seems like an amazing image retouching tool for the iPad. An E. Snowden is on the stage. But not the one you think. Impressive to see Microsoft make such an appearance at an Apple event. Never would have happened under Jobs. Or especially not under Ballmer. If you see a stylus though, did they blow it though? “Apple Pencil is one of the most advanced technologies we’ve created…” I really doubt that. Bets on how much the Pencil is going to cost? Can’t but wonder if you can insert it the wrong way anywhere. Smart. Charge by plugging into Pro. This isn’t just ANY stylus, Zach. Applause for a stylus. Ugh. This is the Apple Pencil. And here comes the stylus! Here comes a special accessory for the iPad Pro: Smart Keyboard with Smart Connector – the tree dots on the side. 10 hours of battery life.. you can watch 5 Apple keynotes in a row without recharging..
Desktop-class performance, but where are the desktop-class apps? 12.9-inches. Why? It’s width is the same as the height of the iPad Air. The biggest news in iPad since iPad. Is this the song from Angels & Demons? Head here for more details on the Apple Watch announcements we just saw. Let’s see the iPad Pro! A ProductRed strap is also going to be available to buyers, with proceeds from sales going to HIV / AIDS research. Yes, more colors are coming for bands, and Watch. I’m having a heart attack. Hermes bands for Watch. get ready for a new generation of baby boomers. Apple is really changing the world! You’ll have to get pregnant AND buy the Watch to use this app though. Simply amazing: mom can listen to the baby’s heart rate in real time. The mom has to have an Apple Watch, which can be used to monitor heart rate for pregnant mom, baby, and measure contractions. Sense4Baby will let doctors monitor patients right at home. Don’t be surprised to see your doctor wearing a Watch. He’ll be getting urgent updates from your nurse on it. iTranslate and GoPro apps too. And yes, native apps for the Watch are coming. Facebook Messenger coming to Watch. New Watch faces and third-party complications (yay, Watch user here). Jeff Williams here to recap where watchOS is going. No time for updates as expected, Watch first to get those announcements done before everything else. I think iOS 9 first, then iPhones, Brad. OK let’s take a bet on the order. I’m guessing new iPads, iPhone 6s/6s Plus, Apple TV. Until that happens though, you’ll be able to play Hearthstone on your 50-inch TV set hooked up to a brand new Apple TV. Whaddup everyone. If you’ve been following anything I’ve written, I’m most pumped up for the new Apple TV, which has the potential to really push cord cutting into the mainstream, particularly once Apple launches its own streaming service. It’s decided: Beats1 is just… the worst. I’d held out hope they wouldn’t torture us, Chris. No, you can’t turn it off, and then get lost in iTunes trying to stream music you actually like. Do you think Obama is watching the live stream from AF1? Music live from Beats 1 – we didn’t see that coming, did we? Someone is wearing a black t shirt with the Apple workout rings on it. It’s glorious. On the other hand: I just had a terrible vision of Apple spending 20 minutes talking about Apple Music at the event today. I’d much rather see Ballmer. Hahaha, that’s the best thing. 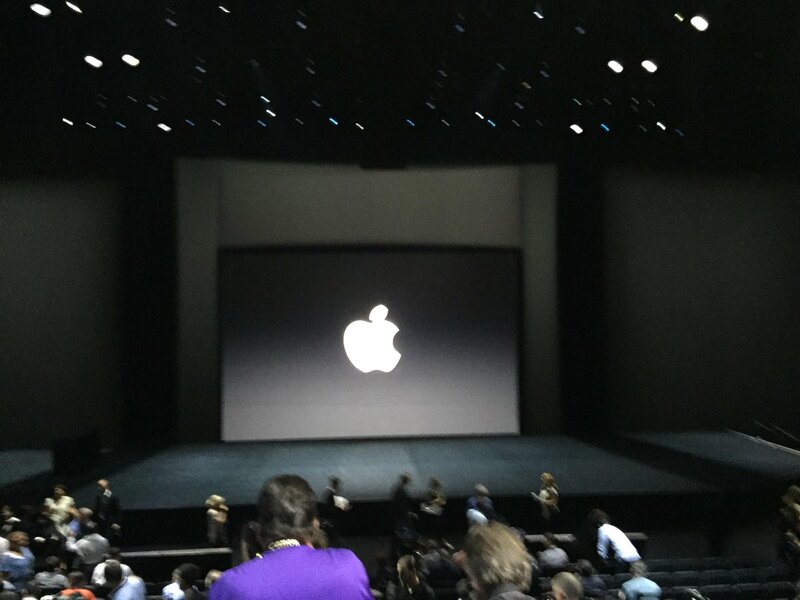 Apple stream is up guys!! Spoiler: it’s going to run iOS. I want to see how Apple’s going to try and sell us on the iPad Pro. You can put as big a screen as you want on an iPad, but it’s still not going to replace my laptop if it’s running iOS. But agree with Yoni, have high hopes for Apple TV. Seriously though, I’m curious how 3D Touch Display works. iPad Pro also sounds interesting. The pink iPhone 6s, which I’ll most likely buy. Tim Cook’s watch.. will he still have a white Apple Watch sport band after labor day? So what’s everyone most interested in seeing at the event? I would expect to see multiple networks/channel deals like this, announced today. A few weeks after the ready-to-wear shows end in October, WME/IMG will debut its first-ever network in an exclusive deal with Apple TV — the first such Apple exclusive. 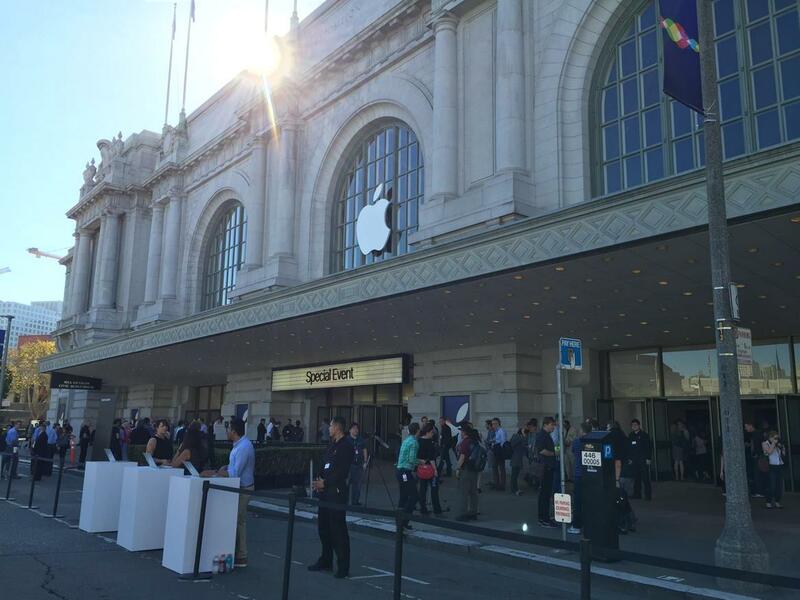 Welcome to BGR’s live coverage of Apple’s big “Hey Siri” event!